This post might hit a few nerves with my fellow colleagues in the health & fitness industry, but hey, that’s what we are all here for. To challenge the so called ‘Norm‘, and to bring some scientific value to the discussion of what ‘Core Stability‘ really is, if even at all, possible. Now, I have already written several articles focusing on the very subject of ‘Core Stability‘, and they were, to the best of my knowledge, specific to what we have all been taught within the fitness industry. I still believe that the material is valid to a certain degree, and has plenty of carry over into shifting heavy weights around, but now, i’m not so sure (99.9% unsure) that ‘Core Stability’ is even a concept to focus on, particularly when in human movement we are never, ever stable. So if all three major structures have a three dimensional capacity during the ‘Gait‘ cycle, should we really be drilling ‘Core Stability‘ into our every day training? I will let you be the judge of that……. For now, here is a very useful ‘Core Mobility‘ drill to add into your current training plan, or to start using anywhere you have the space to do so. The most fascinating thing for me since becoming a PT, is that I am always questioning what we have been taught, and testing its value. What works for one person, doesn’t necessarily work for another. There is scientific evidence to strongly back-up their findings, but the other great thing about science, is that same evidence is there to be tested, to be questioned, and to be put into your own personal experience. Remember, they once thought the world was flat. Doctors used to say that ‘Smoking was good for you‘, and everyone thought that ‘Fat was bad for you‘! 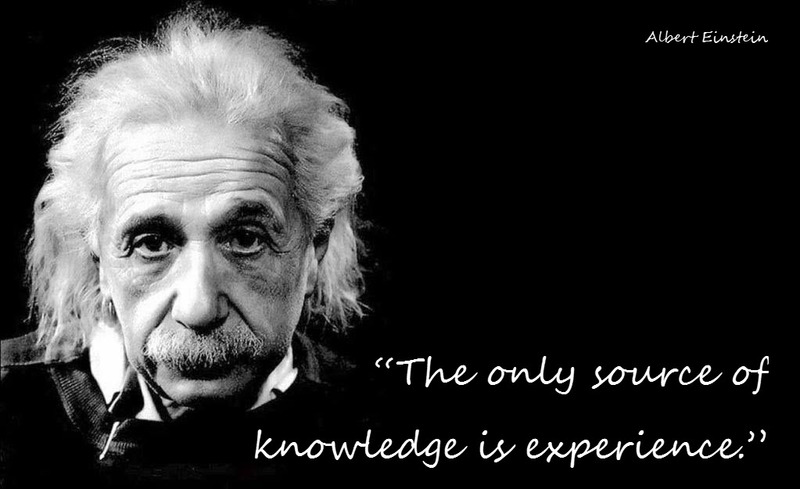 One of my favourite quotes is from, Albert Einstein. I couldn’t agree more. You can be educated to the highest academic level, but without real life experience, how do you know what really works if you have never, ever put it into practice? Give your body the freedom to explore its full potential, get outside of your comfort zone, and see what a difference it could make from the ‘Norm‘.